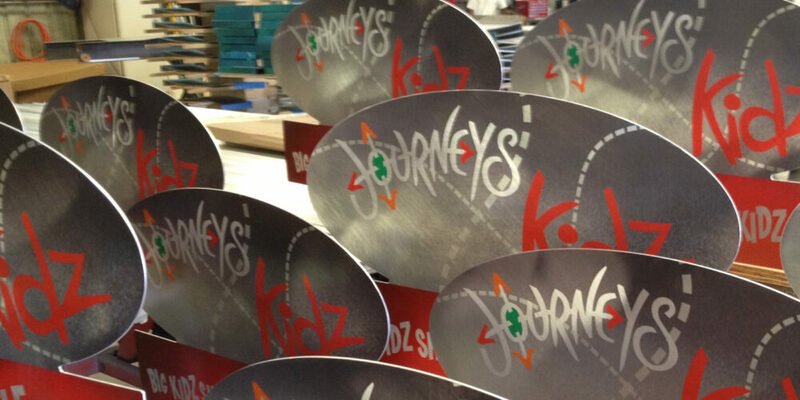 Journey Shoes, a growing retail footwear chain with 1850 existing U.S. stores, wanted Móz Designs to refurbish its in-store exhibit/display fixtures. The project required conceptualizing and building new units that maintained the look and feel of the national store brand while injecting visual excitement. The fixtures were constructed in Móz signature aluminum with branded colors for their new store design to be durable, mobile and functional. 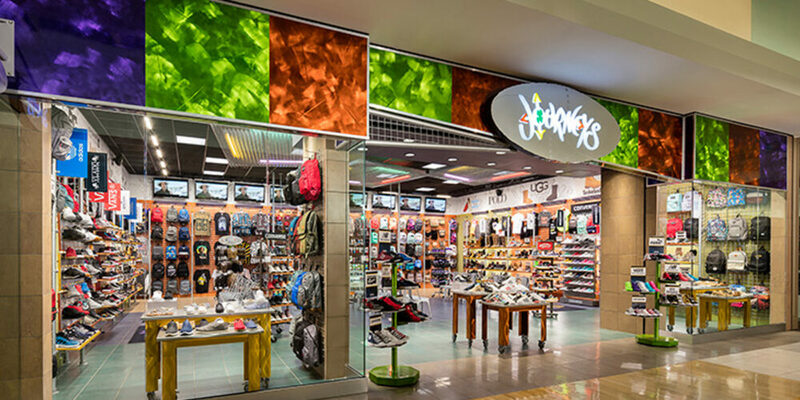 Supplying the fixtures to various store locations quickly and easily was crucial. The display units were prefabricated in ready-to-assemble pieces of stainless steel sheet metal to be constructed upon arrival at the sites. Creating flexibility and mobility for the units was another concern: accordingly Móz designed freestanding floor displays with movable tiered shelving that could be rearranged to fit each store’s presentation needs. 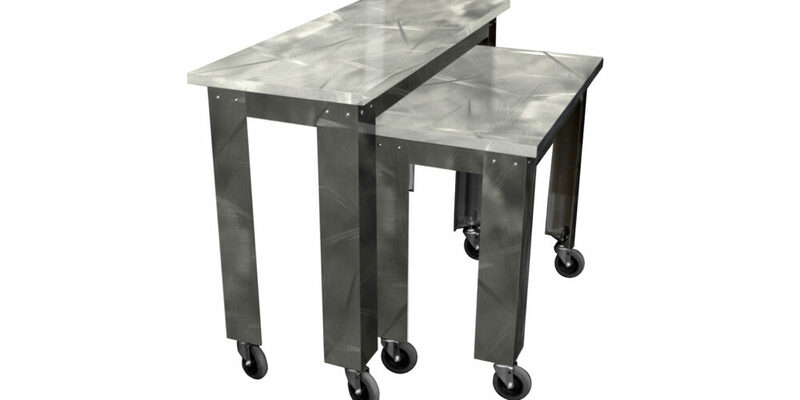 Complementary display tables in varying heights added adaptability with their tiered table extensions and serviceable legs on rolling casters. 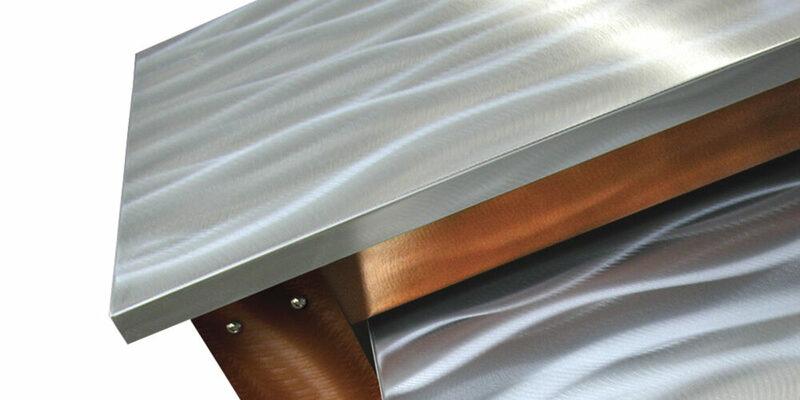 For maximum durability, powder-coated stainless steel sheet metals were used, combining Móz surface grains and custom colors for texture and appeal while maintaining consistent design intent. The retailer was pleased that Móz executed every step of the multi-store project and established a close working relationship with the client. Particularly appreciated was Móz’s extensive value engineering which significantly streamlined the budget. 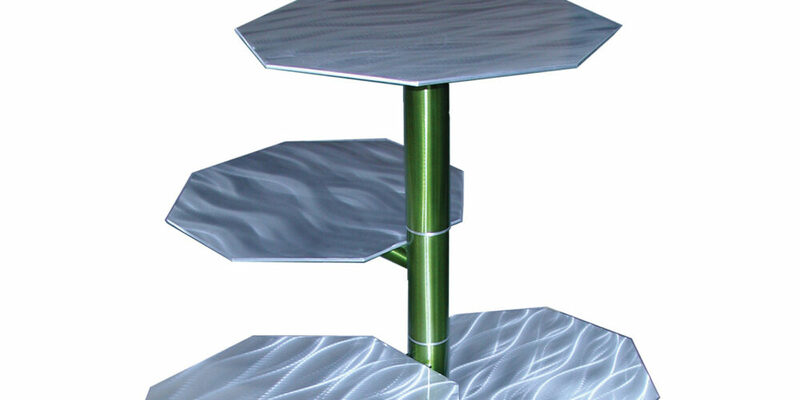 The client also valued Móz’ follow-through, which included providing technical drawings and instructions for assembling the stainless steel sheet metal displays. The project demonstrates Móz’ versatile in-house custom capability as it applies to building, engineering and installing thousands of units-custom tailoring a sizeable venture as exclusively as a one-off.